The Volcanic II sunglasses are a news of the Special line. They are provided with above-standard equipment. They are provided with self-tinting oculars with a polarizing filter, i.e. 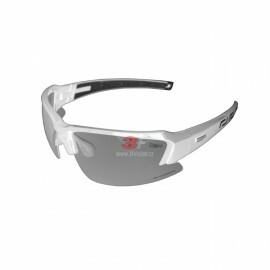 special finish of lenses that considerably reduces reflected light and reacts to intensity of UV radiation. Therefore, the sunglasses provide better visibility mainly at sea as well as on a snow cover, they are excellent also for drivers – a wet road does not reflect light. Further, the sunglasses are equipped with adjustable nosepieces and photochromic lenses; they are made of Grilamid TR90, special light and flexible material. Naturally, they are provided with normalized UV sunfilters in the scale of S2 – S3.